Great news! 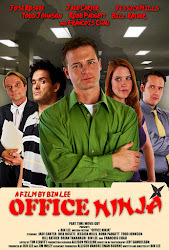 Office Ninja is now available on Amazon.com in DVD format. You can order it here for just $10. We're still in the process of getting it onto Amazon Instant Video and other digital platforms, so stay tuned. In the meantime, please spread the word, or leave a nice review on the Amazon.com page. Thanks!